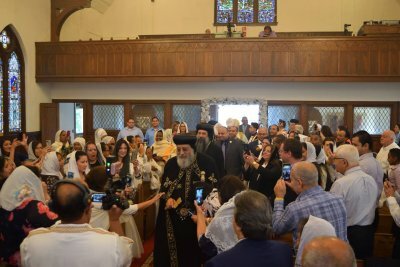 On September 18th, 2018 (the 8th of Tout 1735), our church was truly blessed by the visit of His Holiness Pope Tawadros II, the 118th Pope of the See of Alexandria, along with His Holiness's delegation. During that visit, His Holiness consecrated the altars of our church and its icons. 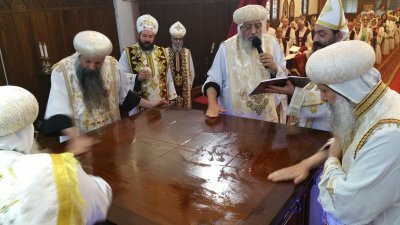 The altar of the main church was named after our mother Virgin Mary and St. Mina the Miracolus, and the main altar of the Chapel of Pope Kyrillos the Sixth was named after Pope Kyrillos the Sixth. 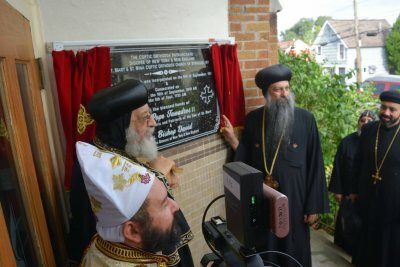 Accompanied His Holiness were our beloved Bishop His Grace Bishop David, Bishop of the Diocese of New York and New England, as well as by His Grace Bishop Domadius and Bishop Markos. 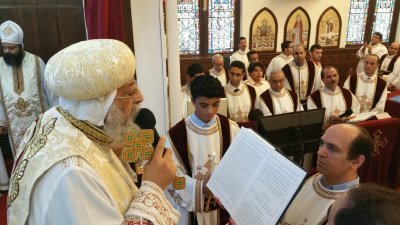 Below are links to the Divine Liturgy prayed by His Holiness, as well as links to the visit and consecration pictures. Thank you Your Holiness for your great love and for showing us how a true shephed should love and sacrifice.